S. leucophylla at the rescue site. Photo by Mark Todd. 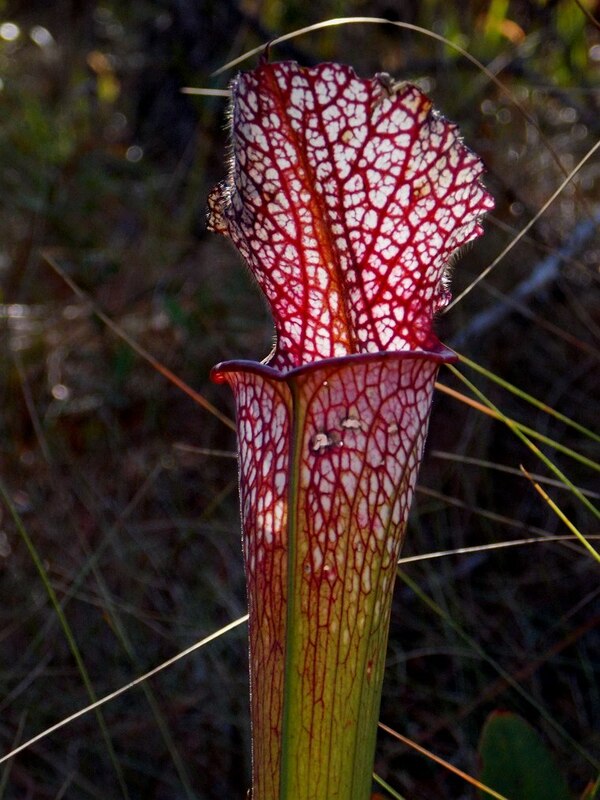 (Pensacola, FL) The North American Sarracenia Conservancy (NASC) has obtained permission from two landowners in Pensacola, Florida to remove several thousand Sarracenia pitcher plants prior to these properties being sold for commercial development. The NASC is looking for volunteers to assist in the removal and relocation of these plants to a nearby preserve. Sarracenia pitcher plants are found primarily in bogs and it has been speculated more than 95% of the suitable habitat has been destroyed. The NASC feels that it is their responsibility to attempt to save as many of these fascinating plants as possible and maintain distinct genetic populations both by moving plants elsewhere but within a normal pollinators range and also putting some plants into a growing and propagation program offsite. The NASC is a non-profit, volunteer-based organization. Annually, they have a benefit auction to raise money for this kind of work and to aid in the maintenance and operation of sites containing rare plants. They are looking for volunteers and sponsors to help with this rescue and others like it. Interested parties can become a member or simply donate to this cause on their website: www.nasarracenia.org.